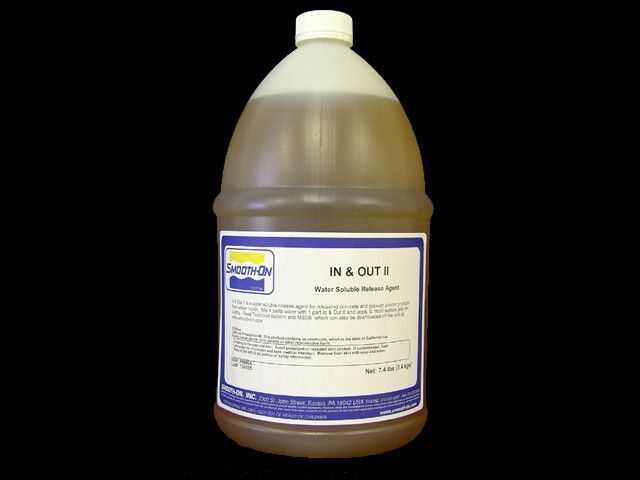 IN & OUT II water soluble release agent will aid in releasing concrete or gypsum plaster castings from Smooth-On rubber molds. 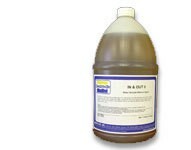 IN & OUT II provides a clean, positive release and does not interfere with or affect surface detail and helps minimize air bubbles in finished castings. Simplify Your Production Casting With IN & OUT II. 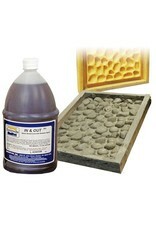 Will Not Stain / Soften Concrete Or Gypsum Surfaces. 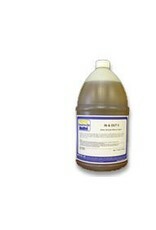 Mix With Water - Economical. Will Not Affect Color Pigmenting Of Cast Concrete. 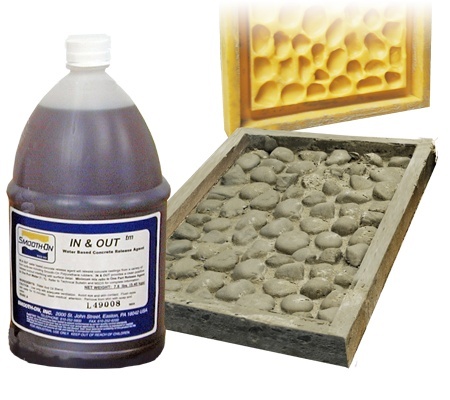 Minimizes Bug HolesÃ‚Â In Concrete And Air Bubbles In Gypsum Castings. Keeps Molds Clean - Does Not Build Up. Significantly Extends Mold Life. IN & OUT II IS DILUTED WITH WATER. Mix 4 parts water to 1 part In & Out II. Mixing can be done by hand or slow speed mixer. Do not shake or agitate as this may cause product to foam. How you dilute IN & OUT II (amount mixed with water, coverage and frequency of application) will depend on the concrete aggregate mix and the form material you are casting into. For example, when casting concrete with a low grit/high sand content (minimal abrasion) into a polyurethane mold, the mix ratio of water to IN & OUT II can be 4 : 1. 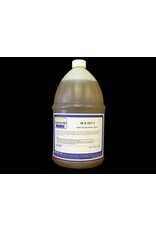 High grit content may call for a dilution ratio of 2 parts water to 1 part release agent. Mix only amount needed for one day. Mixture may separate after 24 hours. Re-mix to a uniform consistency and apply.